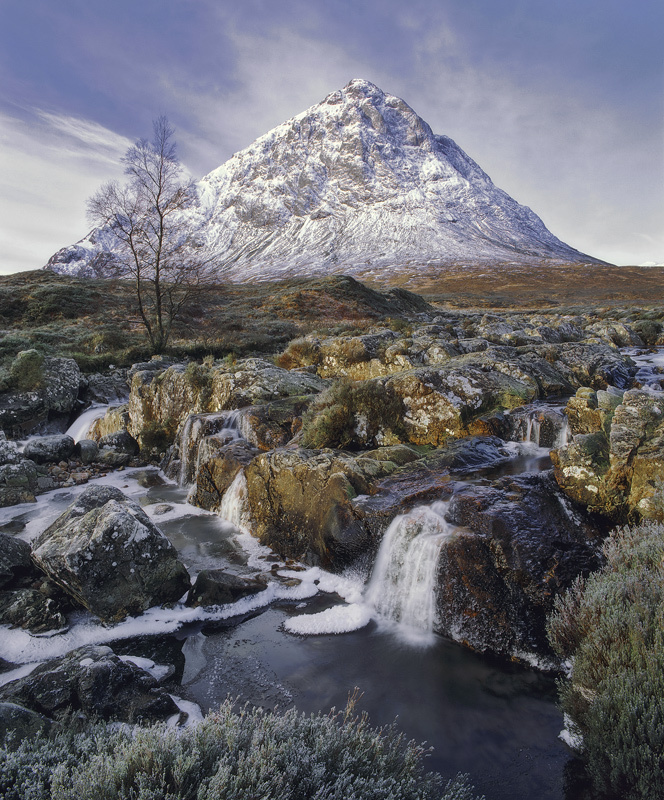 The undisputed king of the Scottish mountains portrayed in more brochures, magazines and cards than any other, it's shape a near perfect pyramid from this particular angle, Lord's it over its realm of ice snow and mysterious moorland. Despite it's iconic status it is an irresistable draw and I care not a jot that this composition has been taken many times before, it is in my opinion the best one. Light , weather and circumstance will supply the necessary originality and aesthetic as it did on this beautiful winter morning.